LIFE PRESERVERS LEARNING OBJECTIVE: Identify types of life preservers and associated survival equipment. 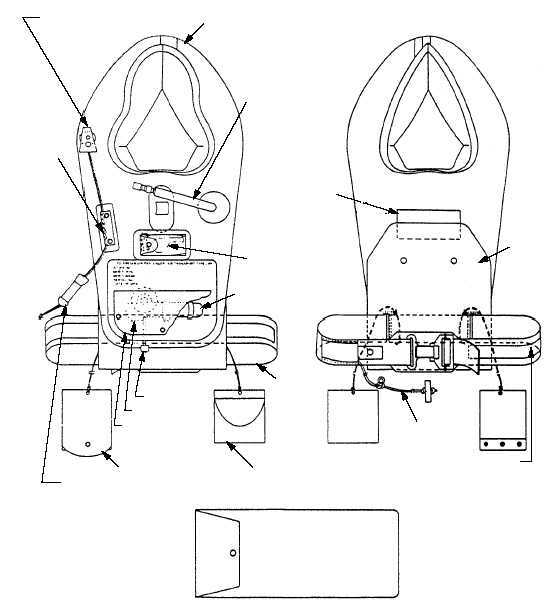 Life preservers are worn by personnel on overwater flights and by flight deck personnel. The life preservers function is to keep you afloat until you can reach a raft or until a rescue team arrives. To prevent malfunction, you must have proper inspection, maintenance, and handling of life preservers. Life preservers are safe, comfortable, and easy to wear. They provide enough buoyancy to support you if you have to bail out, ditch from an aircraft, or fall off the ship into the water. Life preservers are rapidly inflated with a compressed CO2 cartridge. If this fails, they also have an oral inflation device. Accessory survival items may be attached, depending upon the type of preserver. You must be familiar with the donning, fitting, care, and operation of your life preserver. If you have to eject or ditch, you may spend several minutes or several days in the water. A properly inflated preserver will help you to survive. When you are rescued or reach your raft, keep the life preserver on and inflated in case the raft capsizes or deflates. LIFE PRESERVER PASSENGER (LPP) The LPP assembly (fig. 11-11) is used by combat helicopter crews and passengers. The assembly con- sists of a single-compartment yoke-type flotation 11-9 DISTRESS SIGNAL LIGHT LIGHT CHANNEL COVER ORAL INFLATION TUBE WHISTLE CARBON DIOXIDE CARTRIDGE BELT DYE MARKER LANYARD INFLATION VALVE INFLATION ASSEMBLY COVER SHARK REPELLENT DISTRESS SIGNAL LIGHT BATTERY INSPECTION RECORD PATCH POUCH LIFELINE ADJUSTMENT TAPE STORAGE CONTAINER REAR FRONT ANf1111 FLOTATION CELL Figure 11-11.LPP assembly.